What is MRI? Magnetic Resonance Imaging (MRI) systems allow medical professionals to “see” the inside of the body with outstanding clarity. With MRI images, physicians can easily identify areas of treatment, track progress, and rule out serious problems with greater speed and accuracy than ever before. An MRI scan involves no surgery, no radiation, and no hospitalization, and has no known side effects. 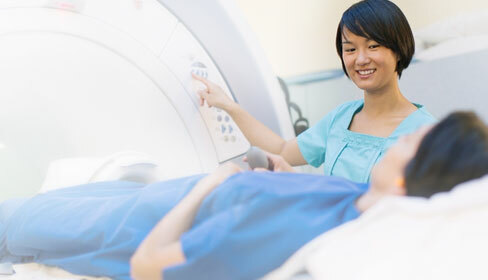 An MRI system uses a powerful magnet, radio signals, and sophisticated computer software technology. Because certain atoms in our cells respond or “resonate” lightly in the presence of magnetic fields, the MRI is able to use that response to create an amazingly clear, detailed picture of internal organs, muscles, connective tissue, and the central nervous systems. Detailed MRIs allow physicians to better evaluate parts of the body and certain diseases that may not be diagnosed as accurately with other imaging methods.